The subject of this work is applying the artificial neural network (ANN) taught using two metaheuristics - the firefly algorithm (FA) and properly prepared evolutionary algorithm (EA) - to find the approximate solution of the Wessinger’s equation, which is a nonlinear, first order, ordinary differential equation. Both methods were compared as an ANN training tool. Then, application of this method in selected physical processes is discussed. 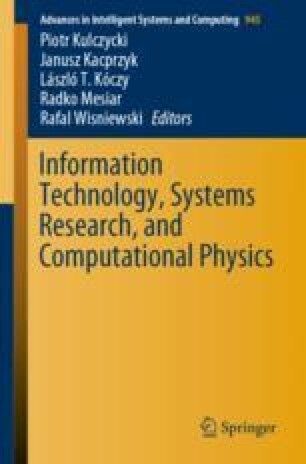 This work was supported by the Systems Research Institute of the Polish Academy of Sciences and is extended version of paper presented at 3rd Conference on Information Technology, Systems Research and Computational Physics, 2–5 July 2018, Cracow, Poland .